This is a wonderful vintage for our Finn bottling, very typical of the quality this wine delivers each year – deft balance, layered, seductive texture and detailed complexity. It’s a multi-faceted wine blending high and bass aromatic notes, extremely fragrant and perfumed. 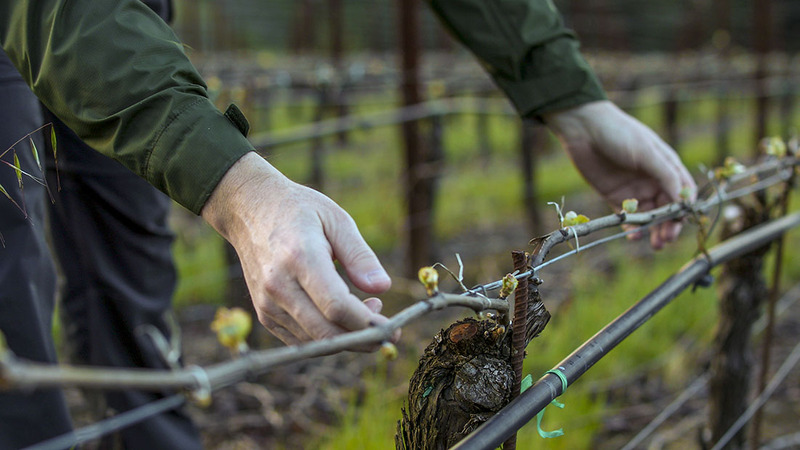 The portion from the clay soils of the Occidental Road vineyard delivers all the wine’s natural density and deep richness, while the twin clones from our sandy O’Connell Estate portion provide freshness, acid clarity and vibrant tangy fruit. It’s a superb combination. There’s a real sense of chewy density to the wine but never any sense of heaviness or excess weight, or worse still, residual sweetness – it’s quite firm and precise. After 24 hours in a re-corked bottle, the wine is darker, more pinpoint, pure and focused. This suggests good ageing potential is in store, between eight and ten years would be my bet. Really hits all the trigger points. Multi-dimensional aromas: swirling red, blue and black fruits, packed full of oriental spices, tobacco leaf and dried flower notes. Great definition on the palate. Intense black cherry, sweet thyme, orange peel, tangy rhubarb and dusty cocoa powder. Tremendously complex wine with lovely mid-palate generosity. Broad chewy tannins offsets the fruit richness. Linear acid to finish with dark tapenade and licorice notes. Decant for an hour and drink between 2016 and 2023.